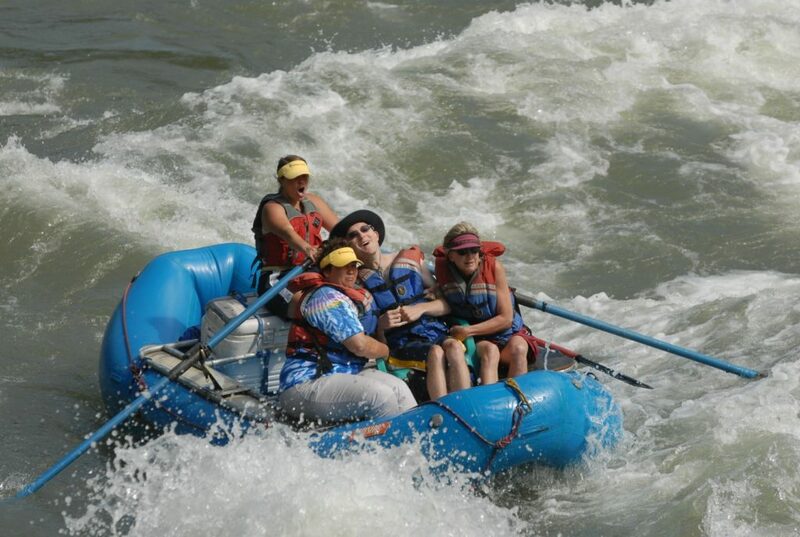 the colder months of the year bring a lot of exciting adventures to Cache Valley! 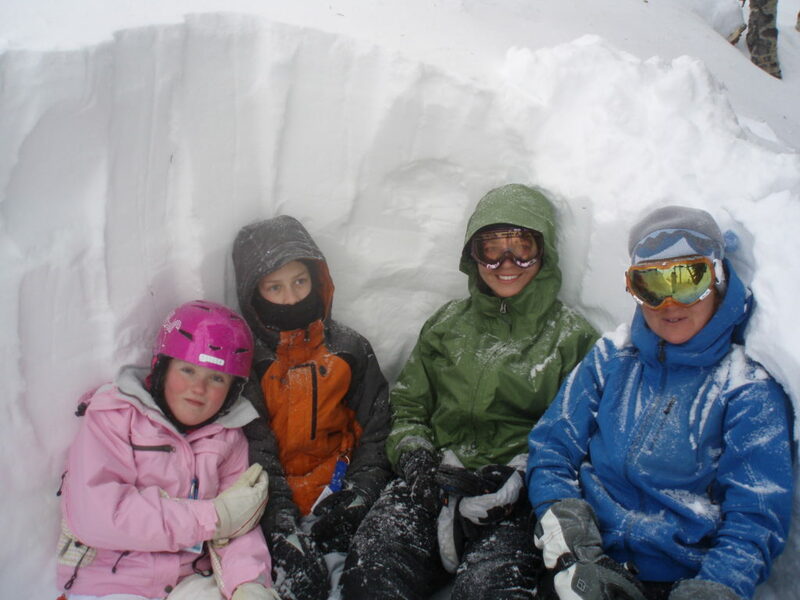 With CGOA you can nordic ski, snowshoe, alpine ski, play sled hockey, and more. Whatever your interest, there is an program for you! Below is a list of typical winter activities. If you have any questions, or would like to get more information, please give us a call! 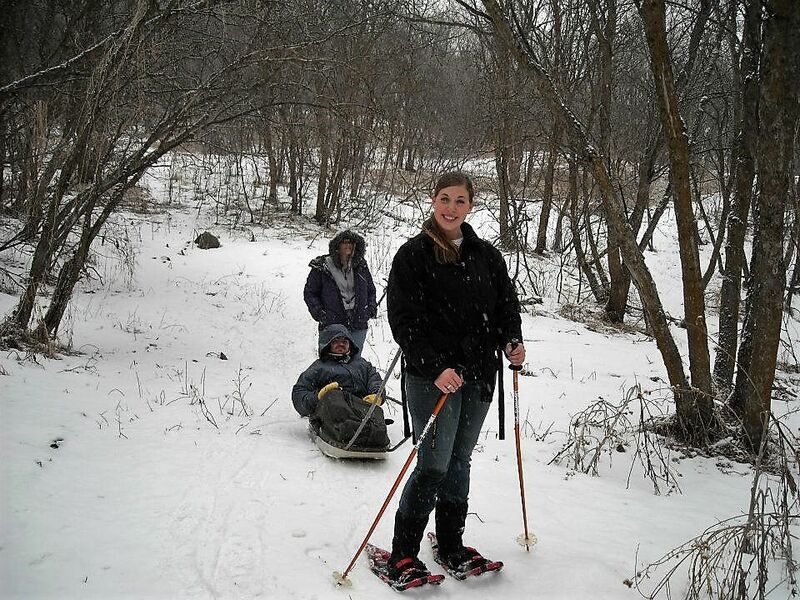 Explore all of the trails you did in the summer, but with snow on the ground! Snowshoes allow us to access beautiful trails and areas during the winter. 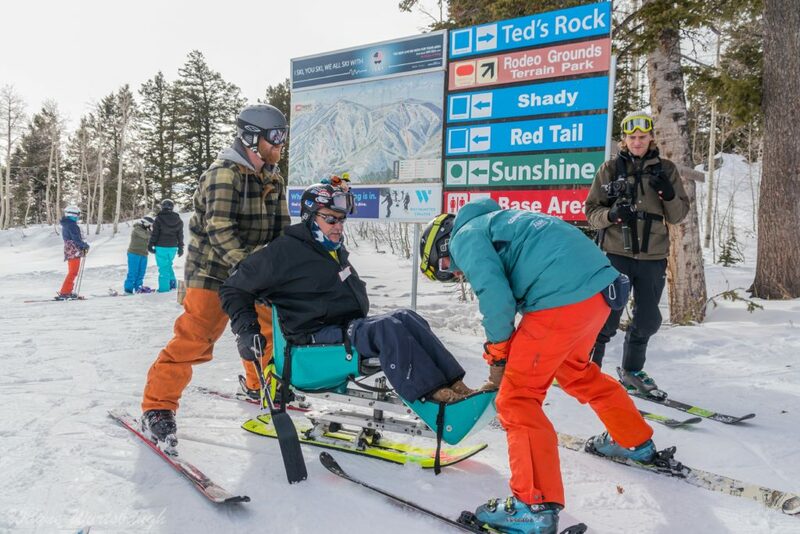 A variety of adaptive equipment, including trekking poles, walkers, and sleds provide a fun experience for all! 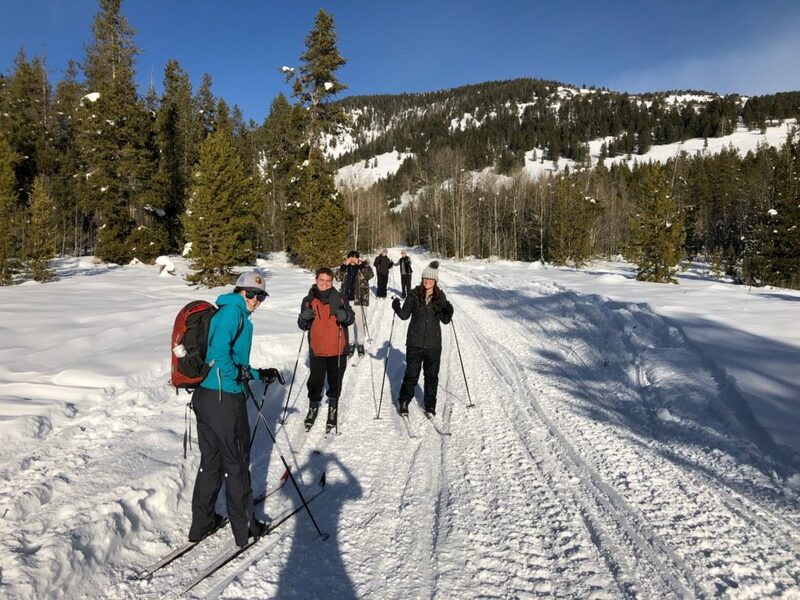 Explore the winter trails on skis! 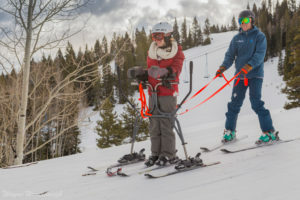 With CGOA you can ski standing up, or sitting down, and access some of the most beautiful areas in the area! Learn about the science of snow, how animals adapt to the winter, and more at our crafts and educational activities during the winter! Skate with CGOA! Year-round we provide ice skating and sled hockey activities at Eccle’s Ice Arena. 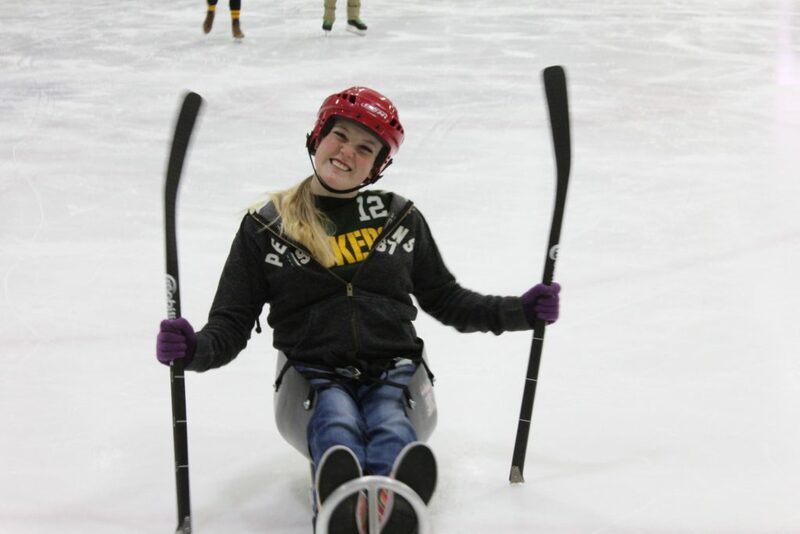 Participants are able to skate, or try pushing themselves around on sleds that offer more stability, and support for those with limited balance or strength in their lower bodies. 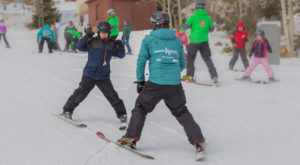 From late December to late March, Common Ground is proud to provide adaptive alpine ski lessons, mainly out of our Beaver Mountain Adaptive Center. 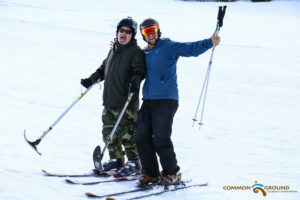 Limited lessons at other local resorts are available upon request. 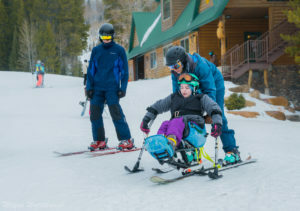 For more information, and to sign up, visit the Beaver Mountain Adaptive Center & Year-Round Programs tab, or email ski.cgoa@gmail.com. Year-round CGOA plans socials, which are free community activities for our participants and their families, volunteers, and other members of the community to celebrate the season, play games, and enjoy food together. 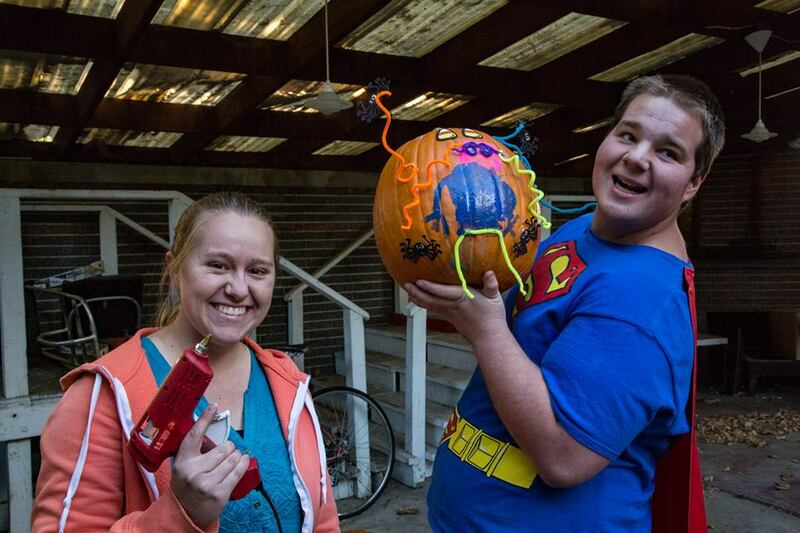 We have socials that celebrate Halloween, Thanksgiving, the holiday season, Saint Patrick’s Day, and more! Check our calendar for upcoming social events!